ZHL Lighting Control Cable LSZH FireFighter™ | Belcom Cables Ltd. 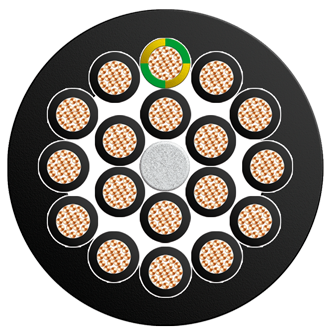 This range of Low Smoke Zero Halogen control cables have been designed for use with “Socapex™” style 19pin lighting connectors where LSZH cables are specified. The use of extra supple compounds give them good flexibility and good mechanical resistance.